For those of you that read my article ‘Clash of the Titans’ which was featured on Steve Huff’s website, you know that I am very familiar with the Noctilux range. The Noctilux and fast lenses in general spark a lot of interest from all kinds of photographers; not only for their abilities to provide faster shooting speeds in low light conditions, but more so for their unique rendering and signatures, in the way they capture light and draw out of focus areas. The Noctilux-M is quite possibly Leica’s most celebrated lens, and is the star-child of the company’s lens design history. Historically, it has always been a 50mm lens, starting with the 50mm f/1.2 in 1966, then the different variants made with an f/1 aperture in 1976, and then the current model pushed to an incredible f/0.95 in 2008. Fast forward almost 10 years and we are blessed with Leica’s latest marvel, in a 75mm variant for the first time, and technically their slowest speed Noctilux to date, though the fastest 75mm lens ever made in regular production (other than the Leitz Summar 75/0.85 from 1934). I was fortunate enough to spend some time with Leica Akademie Germany's Oliver Vogler who was in Bangkok doing a workshop, and we spent a couple hours together shooting, eating a drinking.....with the new Noctilux-M 75/1.25. The original grandfather to the new Noctilux is the older Canadian-made Summilux-M 75/1.4 which was always praised for its smooth bokeh and charming transition from focus to bokeh. It was discontinued in 2007, and several years later replaced with a much more modern update in the Summicron-M 75/2 with APO glass. The 75/2 is a fantastic lens that’s very easy to focus and comes in a very small size which gives it a great advantage over the new Noctilux so it should not be counted out just on it’s slower aperture alone. Many M users had a lot of difficulty focusing the 75/1.4 on the M and this is also what drove Leica to produce the 75/2 as the successor. This leads me to me next point which is about focus accuracy. Focus accuracy is a very, very important technical challenge to achieve when taking a portrait, especially then isolating the subject from the background. To me, the M has always excelled more so as a camera for wide to 50mm focal lengths due to it’s weakness in being able to achieve accurate focus with telephoto lenses – Yes it IS possible, but it’s not easy, and techniques like focus bracketing need to be employed to increase one’s chances of ensuring accurate focus. So what’s my point in all of this? Timing! I believe the new Noctilux-M 75/1.25 would not have been possible without the existence and success of the Leica SL. For those of you who don’t know the SL, it is the world’s first professional mirrorless camera, that happens to have the world’s largest and most accurate and highest resolving electronic viewfinder with 4.4 million pixel resolution that is unmatched by anything currently available in the mirrorless segment. Its ability to zoom into the frame to check focus on a subject’s eye, combined with focus peaking gives it an enormous advantage over the M when it comes to focus. Not to mention that exposure and white balance are also displayed live before you ever press the shutter - giving as true rendition of 'what you see is what you get'. The technique is easily achieved by looking into the viewfinder, pressing the zoom button option which zooms into 100% and 200% with a single or double press, then turning the focus ring until the focus is exactly where you want it. In my experience I achieve a 95% hit rate on the SL using any Noctilux lens, compared to about 75% on the M. This can make all the difference when you’re in a rush, and certainly makes for more efficient shooting and a better overall shooting experience for both myself and my subjects. When shooting with the 75/1.25 I achieved a 100% hit rate for around 50 pictures I took. For M users, the use of the 1.25x and 1.4x magnifiers to even better, the Visoflex is highly recommended for the same purpose, though much lower resolution makes for a less impressive experience, but does get the job done. The Noctilux-M 75/1.25, while a different focal length to its Noctilux predecessors carries on the same DNA, and design principals. · Most correction of aberations in its class. Now I know it could be argued that the aberrations of the 50/1 and 50/1.2 lenses were what made the Noctilux-M special and their unique signature gave their pictures character, but it has never been the design principal. The goal has always been to achieve the perfect picture with no distortions of the picture ‘in-focus’ or ‘out of focus’, and in 2017 we now have the experience and technology to reach such goals, making for a very modern and technically perfect look. In terms of technical makeup, the 75/1.25 can close focus to 0.85, delivering even less depth of field than the Noctilux-M 50/0.95, achieving a reproduction ratio of 1:8.8. The lens features an optical makeup of 9 elements in 6 groups which is a lot of glass for a fixed lens. We can thank a floating element for incredible close focus correction, with 2 aspherical elements for achieving a consistently high performance throughout the entire focusing range. This is an area often overlooked by photographers who often assume that a lens performs the same at any distance. Accurate colour correction was achieved by integrating glass elements with high anomalous partial dispersion and low chromatic dispersion, being more effective in the new 75mm lens than they are in the Noctilux-M 50mm f/ 0.95 ASPH due to the use of newer technologies and that longer focal lengths are easier to correct than wider ones. While most lens manufacturers opt for the 85mm focal length, Leica uses the 75mm. Why? Well they did release a Summarex 85/1.5 many years ago, but it was so big and heavy and didn’t work well on an M body. Not to mention it is also a focal length close to Leica’s 90mm, so it only made sense to make a 75mm, which could be smaller and easier to focus at wide apertures too. 75mm also works well with 35mm lens users, whereas 50mm users often prefer 90mm. The lens’s designer ‘Peter Karbe’ says ‘the fact that the diameter of the entrance pupil – in other words the ratio between focal length and aperture – should not exceed 60mm in order to facilitate the operation of the rangefinder, consequently led to the new Noctilux’s maximum aperture of f/1.25 along with an E67 filter thread’. Demonstration picture from Leica Akademie Thailand Noctilux Low Light Workshop in Bangkok, Thailand. Shot at f/2.8 on Leica SL to show more detail in the background. Top performance in low light, enabling faster shutter speeds for more stable pictures and ability to freeze action. The focus action is typical Leica. Smooth, weighted and accurate. Just enough resistance with the right amount of fluid feeling to make focusing enjoyable. Ever since I started using the M-System 25 years ago, I’ve always enjoyed those few moments before I hit the shutter where I feel the focus turn smoothly, while connecting with my subject. It’s a hard feeling to describe, but it’s what has kept me enjoying the M-System and Leica’s lenses all these years later. You really need to try it to understand what I really can’t put into accurate words. The 75/1.25 also features a built-in hood that locks into place with extension and twist like on the 50/0.95 and a detachable tripod mount to better balance on a tripod. The new noctilux-M 75/1.25 is a portrait lovers dream. It can be used for any purpose really, but it certainly excels in the portrait genre for it’s ability to isolate like not other lens in this focal length (75-85mm), or even 50mm in my opinion. Designed to excel in low light, and perform at the highest level from its wide-open aperture, the new Noct delivers, even exceeding my expectations. When I first heard about the new Noctilux, I basically expected a 75mm version of the 50/0.95 and that is what I got, but with a few extra improvements. Wide open, the 75/1.25 is noticeable sharper, creating a faster fall off from sharp to un-sharp, resulting in an almost surreal look that I really haven’t seen before, except from maybe the Canon 85/1.2L lens – except with one major difference. The Noctilux is just better in every way, especially in sharpness wide open, making for a more dramatic isolation of subject/object. Keep in mind that it is a much newer lens, employing newer technologies and born by hand in Germany. A lens is often judged by its signature or character. This refers to the way in which the lens draws, at both the focus point and beyond. Most notably, the aberrations created in the 50/1 Noct is what brought much attention and acclamation to the Noctilux line in the first place, especially with the f/1 version, and is adored for those very reasons today; but in 2017, using the same design approach, the result is very different. Technically speaking, the 75/1.25 is technically superior in every way to its predecessors. At f/1.25 to the naked eye, it is sharper than most M lenses at f/2-2.8 and combined with super smooth out of focus areas and a sudden drop of focus due to the more compressed 75mm focal length, the effect is very pleasing to the eye, and really encourages you to work harder at finding new perspectives and compositions to take advantage of the pronounced isolation abilities of the new lens. In regards to 'bokeh', the 75/0.125 renders just like the 50/0.95 and benefits from all the advantages of modern lens technology since it's manufacture. This may be seen as a positive or negative, depending on your point of view. On one hand, its positively smooth, with very little aberrations to be seen. The advantage is that distortion of shapes is well controlled. While there are some that prefer a 'crazy or messy' look to their bokeh (Canon 50/0.95), I prefer this look as objects in the background can often be distinguished in their true form. This was important to me when shooting on sets in Los Angeles where I needed to shoot at f/0.95 often and I needed the background to look 'real' and 'true to life'. 'Bokeh balls' or lights in background, are rendered smoothly though sometimes appearing more cat-eyed. this is something that longer focal lengths seem to do better than those in the 50-85mm range generally so I'm not surprised or deterred by this personally. Keep in mind, compared to previous Noctilux lenses, the 75mm focal length being longer does require faster shutter speeds and stricter shooting technique in low light compared to the 50mm versions. I would suggest at least 60 - 120sec minimum for the 50mm and 90 - 120sec for the 75mm. So focal length aside, the 50mm versions are the true kings of low light, and the 50/0.95 is the true 'Dark Lord'. Compared to the grandfather Summilux-M 75/1.4, there is no comparison to be made other than the focal length they both share. The Noctilux is superior in every technical category. Sharper at wide apertures (not comparable), better against flare, flatter field, better correction of aberations and better colour accuracy and higher contrast. Having said that, better is a matter of preference when it comes to lens’ and their signatures. The older Summilux-M lens may not be a technically great lens, yet it is a very charming painter, and with all its imperfections, used in the right scenario, they can be converted into unique effects that bring mood and emotion to a photo. The older Summilux wide open creates a surreal effect that is reminiscent of vintage lenses, and being a lens made in the 1980’s it’s still a great performer too. I particularly love hooting it against the light, where contrast drops and flare takes on various forms and effects. The newer Noctilux does what a good lens is supposed to do, so while many may want to compare these two lenses, the short ansewer is that they are completely different, sharing only the same focal length. The going price of the Summilux-M 75/1.4 is also around 1/3 of the newer Noctilux price so is a great alternative for those who either prefer the more vintage-designed lens, or don’t require the perfection and performance of modern lens design. Noctilux-M 75/1.25 on SL at f/1.25, mis-focused slightly. 'Shooting wide-open and blurring background is a photographic technique which should be used in the right situation. For the general photographer, it is NOT a technique to be used ALL THE TIME, unless this is all you care about. If you like shooting this way I won't criticise you, other than the fact that you may be limiting your development as a photographer, professional or not. As much as using shallow depth of field can be seen as a professional technique, if employed 'all the time', it will look like nothing more than an amateurish addiction. Take for example, history's best pictures; how many of them have totally blurred backgrounds? To me, shooting wide open and completely blurring backgrounds is a novelty technique that should be used in the right situation. To me, light, emotion, timing and composition take priority in any photography. The benefits of shooting wide open are pretty obvious - better isolation of subject/object, faster shutter speeds/lower iSO and sometimes, bigger impact on amateur viewers (social media). The drawback is that you may be destroying valuable background information, important to the story-telling of your picture. Just keep in mind that stopping down a little to show the Eiffel Tower in the background may be a better option at times.....that is IF you remember to do so. Once you get used to the excitement that shooting wide open brings, it is very difficult to go back. In years to come you'll look back at a bunch of pictures with blurred backgrounds, and ask yourself WHY?" Now, having said that the size and weight also make the lens a little slower to use and focus in the field as the focus ring is more heavily weighted and slower to turn - extra care must also be taken to focus a Noctilux, so this is why. As you can see from the attached image, I mis-focused slightly, so one must be able to accept their own shortcomings when it comes to technique and not go and throw away great images just because the focus isn't perfectly where they want it. In short, be prepared to not always have every picture in focus, and sometimes, you'll need to stop down to f/1.4/2/2.8/4 in order to make the better picture, even though you spent nearly US13k for that f/1.25 aperture. Oliver Vogler from Leica Akademie Germany has had more experience with the new Noctilux than anyone on the planet so its only fitting for him to provide some 'Noctilux specific' advice when using this or any other Noctilux lens. Continuous shooting in Continuous mode, Shooting bursts of pictures can help ensure you get a couple off keepers when you need to use slower shutter speeds. Inhale before releasing and hold your breath, and exhale after the shot! This way, there is less chance of wobble. Using the M10, adding the 1.25x or 1.4 magnifier will assist in making the viewfinder focus patch bigger and more accurate! Using EVF on the M/MP-240 and M10 body makes focusing much easier! 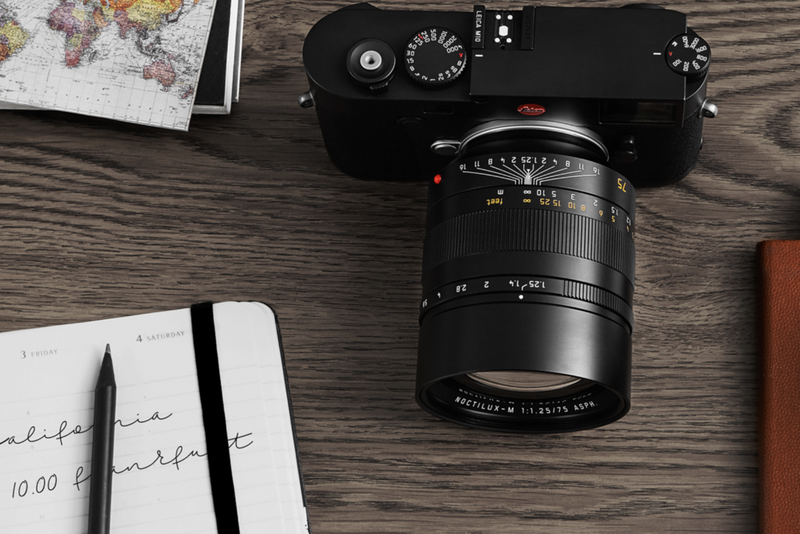 The simplest focusing is achieved by using the Leica SL, in conjunction with the M-adapter and focus-peaking. Here it is much easier to handle than at the M camera too as the larger body ensures better balance and grip. Also, use continuous shooting speeds of up to 11 frames per second, for your own safety. But it is very easy to use the Noctilux 75 at the M10 without any help, but you should train a bit before the actual shooting! Only courage is needed!!! While my testing and this review wasn't super comprehensive, I’ve used enough lenses over my time to be able to discern the attributes, character and qualities of lenses in a short period of time to come up with my own basic conclusion. So, put simply, the Noctilux-M is the best performing Noctilux (fast lens) ever made for 35mm photography, or any format for that matter. It does exactly what Leica designed it to do. It is (IMHO) the most versatile short telephoto (manual focus) lens ever created. Did you expect anything less from Leica? With a maximum aperture of 75/1.25, and it’s incredible isolation ability, thanks to its well corrected design, the look of the images is typically Leica – perfection in almost every way. I really wish I had more time with the lens and look forward to getting my hands on it again in the future. In the meantime, I'll be waiting to see if Leica continues releasing more Nocts, especially something in the 35mm focal length. 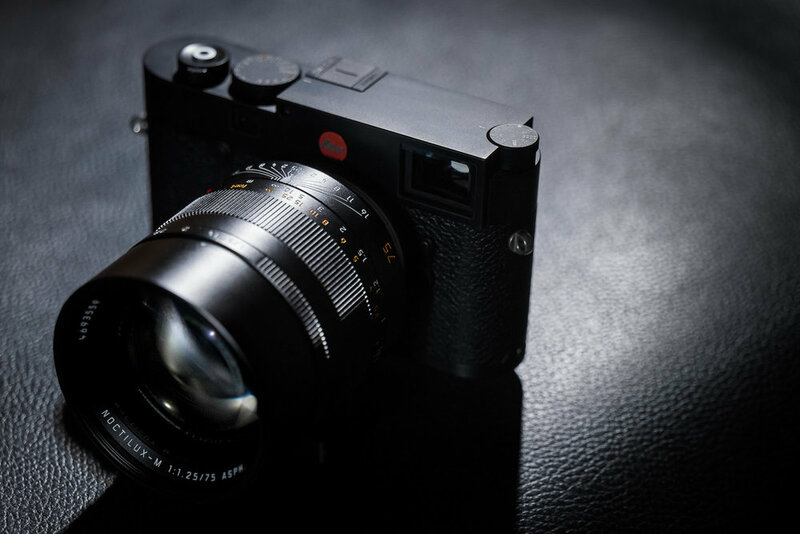 A 35mm and 75mm Noctilux would be a wonderful combination for many Leica users who either need the speed or just enjoy taking advantage of Leica's lens design innovation to create stunning pictures in any light. Leica have really hit the ball out of the park (and the price) with this Noctilux-M 75/1.25; so much so that many won't be playing the Noctilux game, but for the select few that can afford the luxury, they will be rewarded with a lens capable of creating some amazing images that wil only make those around them marvel at it's unique look and drawing signature. The Noctilux-M 75/1.25 has already started shipping out in small quantities to Leica Authorised Dealers globally, and should start becoming more available in early 2018. After using this lens during my Leica Akademie Workshop, I feel that it truly is what I originally felt. No changes really, except for the fact that the bokeh is not so circular wide open. - kind of a cat eye look. Stopping down a little helps with this but it would have been nice if the circular objects were represented more accurately at the f/1.25 aperture. Having said that, there are always trade-offs when creating a super fast lens, and considering the lens's ability to render the focus point so sharply wide open, and matching most other lenses at f/4, I think its a fair trade-off. This is what also leads to the sudden perceived 'immediate focus focus falloff' that emphasises the lens's unique character. Most would say that the quirky bokeh represents the lens's signature and personal charm. Either way, its a fun lens to use, and while it's a modern light sucker in the dark, it's slightly slower predecessor, the Sumnmilux-M 75/1.4 is also an amazing and distinctly different lens if you can find one. I can see that the introduction of this lens will only further increase the value of the Summilux as more of these Noctilux lenses are sold.